The Road to the Horizon: News: Can Bill Gates help Africa feed itself? The injection of western food aid into poor countries is often criticized to be unfair competition for small farmers in those countries the international community is actually trying to help. The global food crisis rocketing the prices of basic food commodities, once again showed that the poorest in the world suffered the most, despite decades long efforts to eradicate hunger from the world. Last week Bill Gates and Howard Buffett (Warren's oldest son) announced their private foundations will plow more than $75 million into helping small farmers in Africa and Latin America to sell their crops as food aid — a move which could potentially overhaul the decades-old global food aid system. 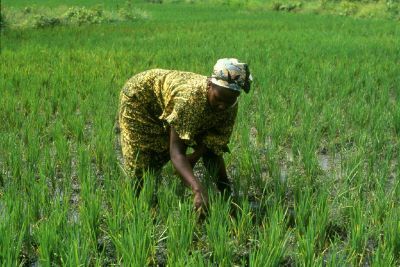 Under a five-year pilot project called Purchase for Progress, the foundations will help 350,000 small farmers in 21 countries, most of them in Africa, to grow food for the U.N.'s World Food Programme, the biggest food aid distributor in Africa. Rather than simply buying the farmers' crops outright, much of the money will go to teaching better farming methods, and to helping them store their crops in warehouses, plant higher-yield seeds, and transport their produce to customers.